In one of my previous posts I wrote about the 11th annual Telethon organized by the Armenia Fund. The results this year? $35 million! Which is more then twice as much as the Fund raised in 2007! That’s pretty impressive, especially taking into account the global financial crisis. To compare this with previous years results, and to outline the major projects that the raised funds were spent on I drew a quick table. As we can see the amount of funds has been increasing from year to year. Each year the Board of Trustees of the Fund meets to discuss the projects that the following year’s donations will be spend on. 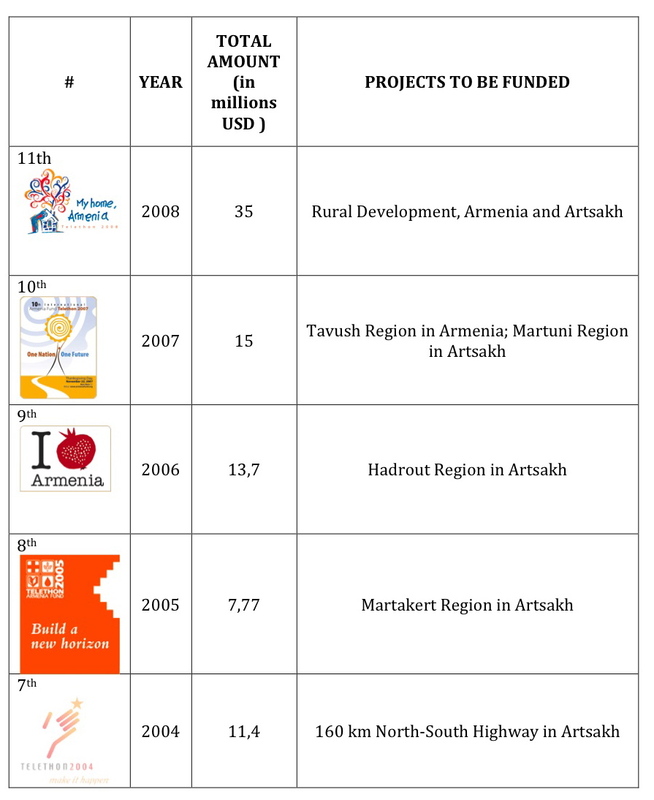 Most of the funds so far have been used to improve the rural infrastructures in Armenia and Artsakh.